What a wonderful way to improve your Christian walk in faith! 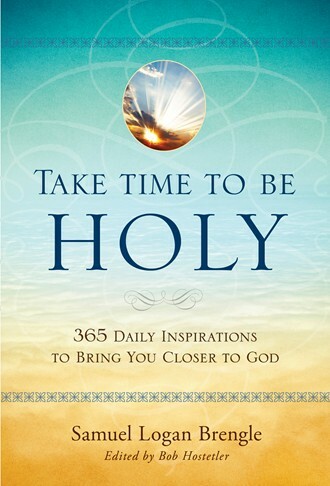 Take Time to be Holy offers more than the read-a-Bible-in-a-year programs. Not that those do not have value! We did it a couple of years ago and it was excellent. However, for day-to-day living, you sometimes need more. You need more from the Word and from Him. This is a great way to do it. The book is something that we in the writing world would call an, "Evergreen," meaning that the content is always germane. So, while the book was written a few years ago, it will always be good. We turned to the first page and the message was about a new beginning. It fits right along with any goal-setting activities or just thinking about the year before you and how you will spend that time. Take Time to be Holy is always relevant.